Just don't expect these ultra low-priced wireless ANC headphones to be Bose or Sony busters. Today’s best active noise-cancelling (ANC) headphones easily run $350 or more. You can pick up Mixcder’s E7 on Amazon for $59.99. Is this budget-priced, wireless ANC headphone a Bose or Sony killer? Not by a long shot. 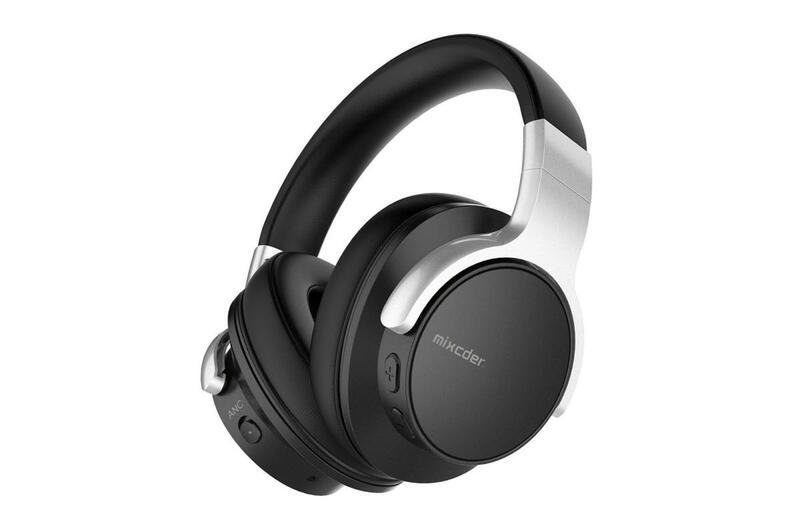 Nevertheless, Mixcder’s E7 headphones will deliver basic active noise cancellation and solid sound to the budget-conscious consumer. 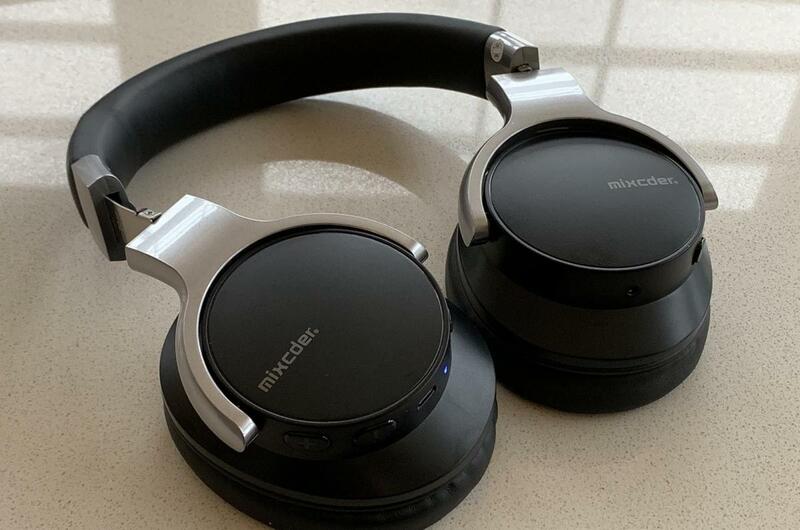 Mixcder’s E7 headphone packs a very good feature set for they money. You’ll find a 400mAh rechargeable lithium battery that will deliver somewhere in the neighborhood of 20 hours when using the headphones in wireless mode. That rating drops down slightly to 18 hours if you turn on ANC. If you use the headphones wired with only ANC activated, you’ll get a whopping 40 hours from a single charge. Recharging the headphones takes about two hours and is easy with a standard Micro-USB cable. They weigh a modest 272 grams (about 9.6 ounces). The headphones feature a 40mm driver and present an impedance of 32 ohms. Driving them with any smart device will be easy. The E7 support Bluetooth 4.0 and have a solid wirelless range. 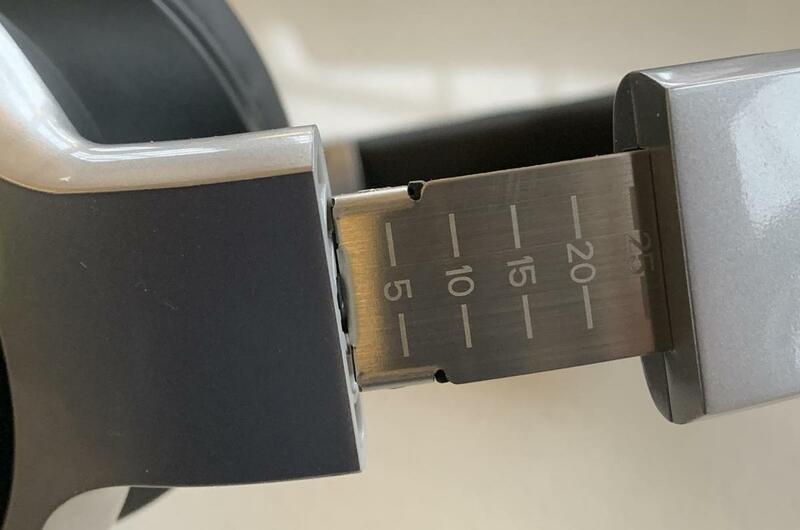 As with any Bluetooth headphone, you’ll see a 33-foot range on paper, but real-world range depends on any walls, doors, or interference between your headphones and your wireless audio source. The Mixcder E7’s click-adjustable headband is made of metal, a nice design trade-off. You won’t find advanced audio codecs like aptX, AAC, or high-res codecs like aptX HD or LDAC here, but that’s not surprising given the price tag. The Mixcder E7’s come packed with a slick hard case, a 3.5mm cable for wired use, and a Micro-USB charger. It’s a solid accessory bundle for the price. The headphones’ ear cups turn flat, but the headphones themselves don’t fold like our top category picks, the Sony WH-1000XM2, M3, and Bose QC35. They are a bit bulky for frequent road warriors. I found it more practical to slip them folded into my backpack without the carrying case. The Mixcder E7 fold flat, but they don’t collapse into a more travel-friendly form factor. I liked the Mixcder’s look and styling. But delivering any headphone for less than $60 involves some tough choices and compromises. I feel as though Mixcder's designers did a good job with their balancing act. The headband and ear cups are wrapped in an imitation leather. The quality is good, but you’ll never mistake it for the real thing. The silver arms shine like they are made of metal; but upon closer inspection you’ll note that they are plastic like the rest of the headphone. Some budget headphones make the click-stop portion of the headband out of plastic as well. Not here. I was pleasantly surprised to see metal supported with a plastic click-stop mechanism. Once again, a smart trade-off. The pivoting and rotating ear cups make the E7 comfortable to wear; though I’m not sure how they will fare on hot, summer days. My hunch is they’ll be prone to inducing some sweat. I was impressed with the Mixcder E7’s ergonomics. All essential controls fell naturally with the contour of my hands. Those with physical challenges to either hand will want to take note that controls fell perfectly at my middle when reaching across to the opposing ear cup. I liked the attention to that detail. The Mixcder E7 ear cups are wrapped in imitation leather. The left ear cup has power for ANC and a 3.5mm receptacle for wired mode. The right ear cup features the main power for wireless use, volume, and a Micro-USB port for charging. The power button does double duty as a play/pause toggle. Press it once for play/pause or depress it for several seconds to turn the headphones off. I applaud the fact that ANC worked independently of the headphone’s main power. That’s not always the case with ANC headphones. There are some times where you just want ANC while using your headphone in wired mode. I tried the headphones with calls, voice dictation, and Siri. The performance was average, meaning that the headphone worked as advertised, but had trouble with higher noise environments. I did notice that the E7 gave a noticeable sonic thud when going in and out of Siri or phone calls. The thud was so noticeable and bothersome that I feel Mixcder should address this issue with a firmware update. All they need to do is apply a volume fade during that transition and voila! The problem will be solved. Let me please state a fact: Sony’s and Bose’s active noise-cancellation technologies are in their own league. Don’t be fooled into thinking that the E7 will give you anywhere close to the same levels of ANC performance. In every context, the Mixcder failed to put me in a total cone of silence like today’s top performers can. In fact, the E7’s are among the least-effective ANC headphones I’ve ever reviewed. But lets put things into perspective: the E7 are also among the least-expensive ANC headphones I’ve reviewed. Do they deliver $60 worth of ANC performance? Probably. In my experience, the E7 only took the edge off ambient noise at specific frequencies. To my ears, the ANC attenuated the midrange and midbass more than the rest of the frequency spectrum. If you’re trying to block the sound of your air-conditioner, for instance, these will take that edge off, but they won't entirely mask it. For example, I pit the E7 with Bang & Olufson’s Beoplay H9i (in for a forthcoming review). In two noisy restaurants, the E7 muffled the ambient noise around me to a slightly greater degree than the headphone’s own passive noise cancellation. The Beoplay H9i, by contrast, deadened the restaurant’s loud din, significantly attenuating people’s voices, mechanical hum, and other ambient sounds. To use an analogy, the E7 was like putting my hands over my ears while the B&O H9i was like using pillows. The same held true in other noisy venues: a bus, walking outdoors, and in a convention center. The B&O H9i retails for $499—five times the retail price of the E7—and the H9i’s ANC is still a notch below Bose and Sony. In this case, there was a direct correlation between price and performance. All in all, I’d say that the Mixcder’s ANC performance is comparable to it’s price-point. And I don’t intend that as a criticism. I should also mention that the E7 exhibit higher than average ANC-related hiss. Conversely, there was little to no ANC-related pressure on my ears. Some ANC headphones give you the feeling like you’re under water. That’s not the case with the E7. 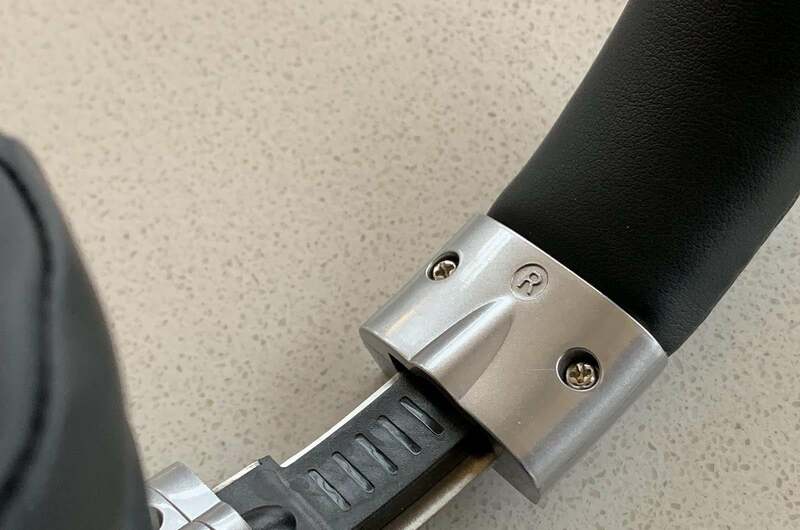 Detail of the plastic-metal click-adjustable headband. ANC performance aside, how do these headphones sound? The answer is not bad! I tested the Mixcder E7 with my iPhone XS and music from Tidal. I listened to the headphone primarily over Bluetooth. Dynamics was one of my favorite aspects of the E7’s voicing. If you like headphones that deliver some toe-tapping, musical involvement then you’ll be satisfied with the E7’s performance. I did, however, notice a difference in the music with ANC engaged. For example, On Amy Grant’s “Lead Me On,” the E7 delivered the kick drum and other percussive instruments with more oomph when the ANC was turned off. The same was true in the midbass and the lower midrange on Imagine Dragons’ “Machine” from Origins. The E7’s overall tonal balance was good, though I longed for more top-end openness and less veiling of midrange frequencies. What you really give up with these headphones is the ability to resolve micro-dynamics. Here again, however, it’s hard to complain consider the $60 street price. The Mixcder E7 will never be in the same ballpark as the noise-cancelling cans Bose and Sony have to offer, but they are solid value. You’ll get basic active noise-cancelling performance, good battery life, wireless freedom, and decent sound for less than the price of dinner for two. 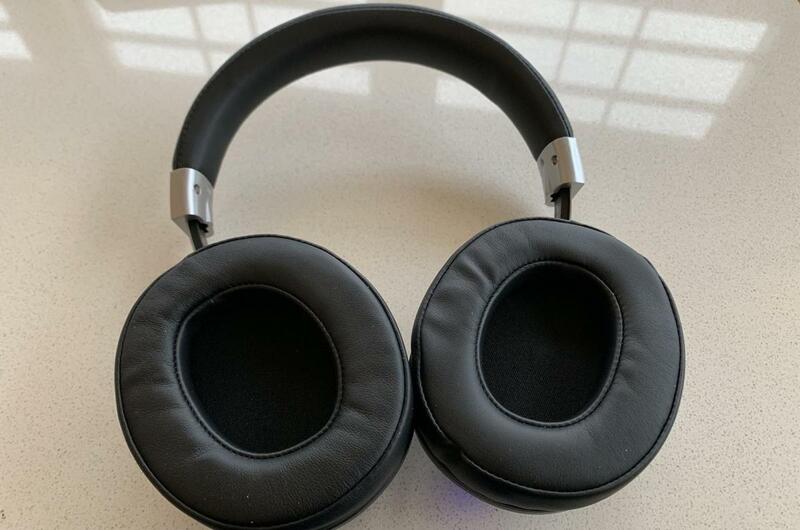 This story, "Mixcder E7 wirelesss headphone review: Active noise cancelling for very tight budgets" was originally published by TechHive. 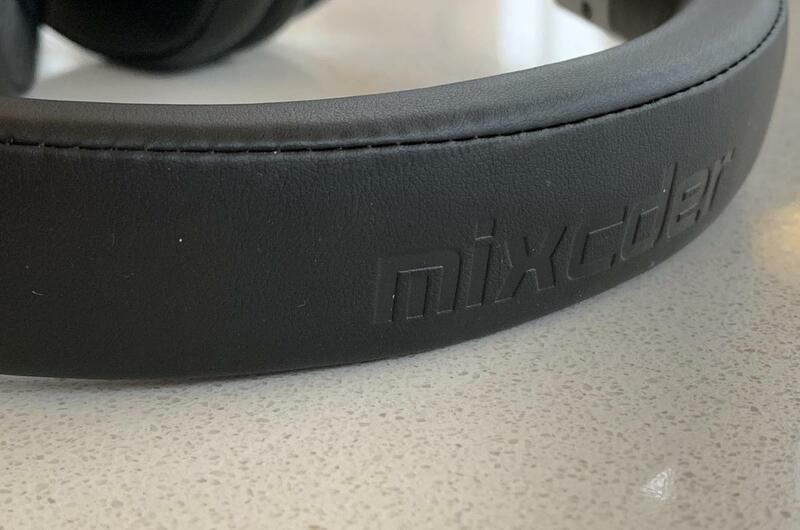 Mixcder's E7 wireless headphones deliver good sound and basic active noise cancelling for the price; but they won't come close to the performance of class-leading ANC models from Sony and Bose.